Please browse through the books*, all of which feature non-dominant culture characters. Some books directly address issues of race and tolerance, others simply tell a story. All provide opportunities for discussion. Select out-of-print books are available for purchase - please contact us if you would like more information. Because we have had many requests for a list of books, we have created a bibliography that we update regularly. Please feel free to share this with your local teachers, librarians, and booksellers. On our blog, we reflect on our experiences engaging our children in discussions about race and our efforts to bring anti-bias education to our community. We also write about some of our favorite books. There are many, many wonderful resources on racial justice. 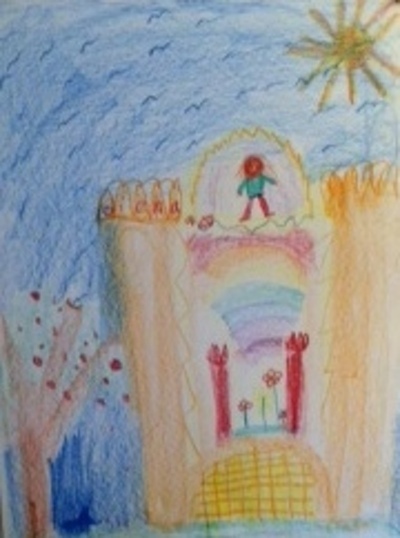 Please check out our "Other Resource" page. On our "Products" page, we link to artists who create bags, jewelry, calendars, paintings, ornaments, etc. ; another wonderful way to help represent diversity in our homes. What can you do to counterbalance the whiteness that dominates our society? Donate to organizations dedicated to seeking justice, fighting racism, and teaching tolerance, such as American Civil Liberties Union and Southern Poverty Law Center. 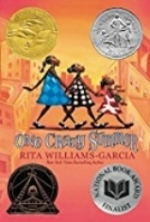 Awards and Honors for One Crazy Summer include Newbery Honor Book, Loretta Scott King Award (Author), National Book Award Finalist, Scott O'Dell Award for Historical Fiction.